Within the field of interactive digital storytelling, one goal pursued is to build highly interactive fictional worlds in which a user can have the first-person experience of being a character in a story. The story events should unfold based in part on the user's actions. This introduces a story representation challenge because branching narrative representations used in the games industry are insufficient. Story content must be expressed using novel procedural and generative (AI-based) representations. 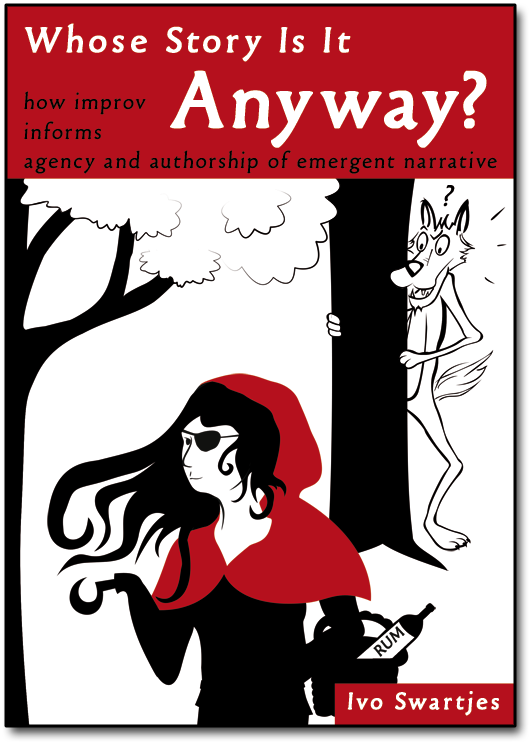 Emergent narrative is one approach proposed by the field to creating this kind of experience. In this approach, the storyworld is inhabited by a collection of intelligent, autonomous agents, each playing the role of a story character. As in dramatic improvisation, the story is not scripted, but emerges based on the interactions of these characters with each other and with the storyworld they inhabit. This thesis presents conceptual and technical contributions situated within the emergent narrative approach. 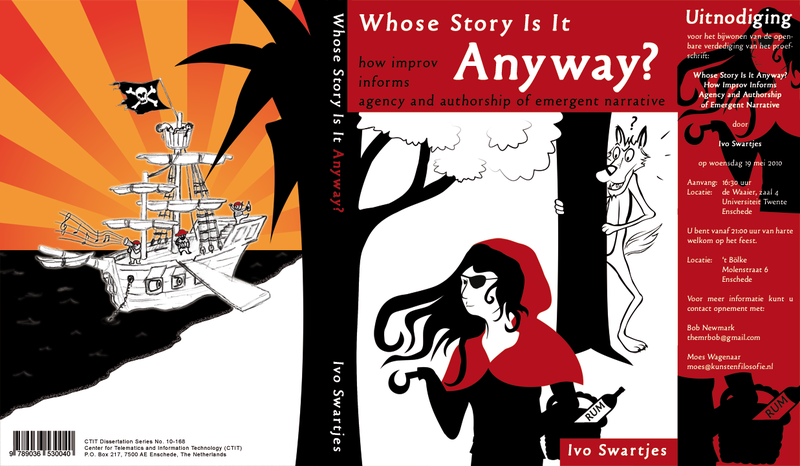 In order to better understand user agency and authorship of emergent narrative, we took lessons from the theory and practice of dramatic improvisation. User agency in emergent narrative was explored using a human-only, chat-based experiment. Improvisers were given the task to provide participants with an engaging experience as a character in an improvised story. To explore authorship of emergent narrative, we developed The Virtual Storyteller, a story generator based on the emergent narrative approach. Authoring experiments led to the identification of an iterative, improvisational style of authoring in which the emergent properties of the system affect the creative process. Dramatic improvisation also informed character agent modeling. A distinction was proposed between two tightly coupled roles that the agent plays: that of a self-interested character in the storyworld, and that of a drama-interested actor. Modeled after human improvisers, the agents were given the means to delay decisions about the details of the storyworld they inhabit, until they became relevant for the unfolding narrative.